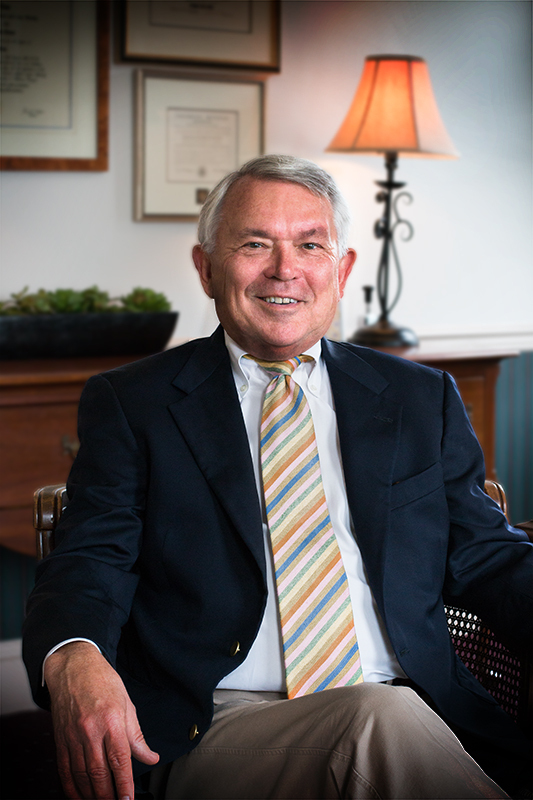 Michael Foster has been successfully practicing law in Queen Anne’s County since 1976. As a native of Queen Anne’s County he knows the area, its history and its politics. His practice areas include Real Estate, Land Use Planning & Development, Banking, Business/Corporate, Contracts and Estate Planning & Probate. Born and raised on Kent Island, Mr. Foster is passionate about the Eastern Shore. His roots are deep dating to the 1600s and the original settlers of what would later become Queen Anne’s County and the state of Maryland. His family’s interests were broad and offered exposure to a wide range of disciplines, all of which he finds serve him well in his career as an attorney. Waterman, politician, farmer, doctor, businessman, real estate broker, builder and land developer were among his relatives whose experience so informs Mr. Foster’s understanding of local issues. With this rare perspective and years of experience Mr. Foster is extraordinarily well equipped to shepherd clients through the complexities of regulatory and bureaucratic red tape encountered in today’s legal environment. He has assembled a support team of skilled professionals who between them have over 80 years of experience in the legal field. With knowledge that comes only from a lifetime of immersion paired with over 37 years of legal experience in this community Michael Foster brings to his clients one of the highest success rates on the Eastern Shore.